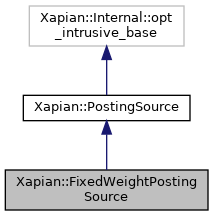 A posting source which returns a fixed weight for all documents. This returns entries for all documents in the given database, with a fixed weight (specified by a parameter to the constructor). wt The fixed weight to return.